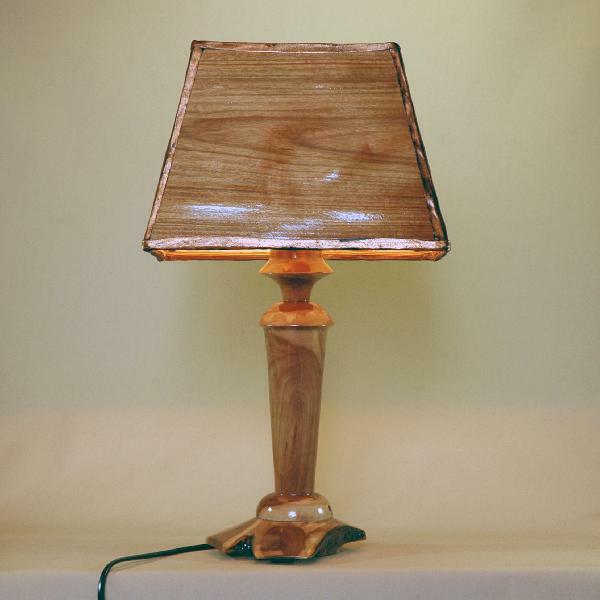 An original artisan lamp. The simple yet elegant 50&apos;s-retro base is crafted from natural apple wood. Options for lampshades are available. An original interior decoration with a familiar style.